If you're a regular Aldi shopper then you'll know that they have weekly 'Special Buys' that come & go. These feature a range of items, all of which are at a low price and available for a limited time. 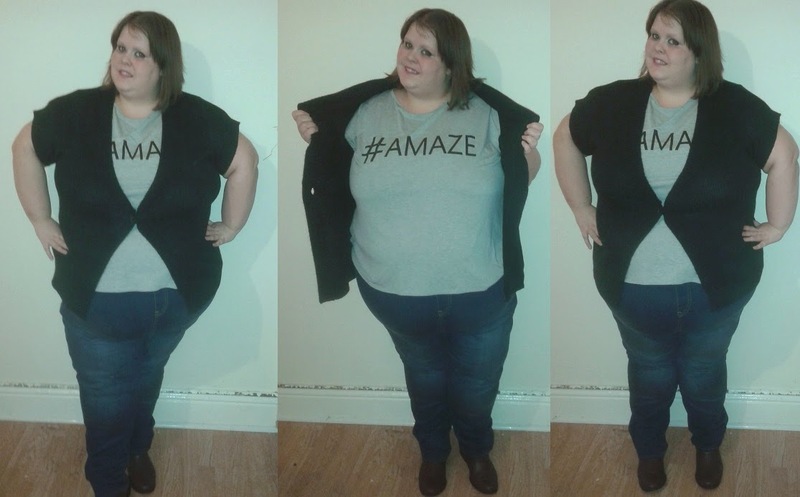 From the 26th October the high street supermarket are going to offer a range of plus size items for people to buy. 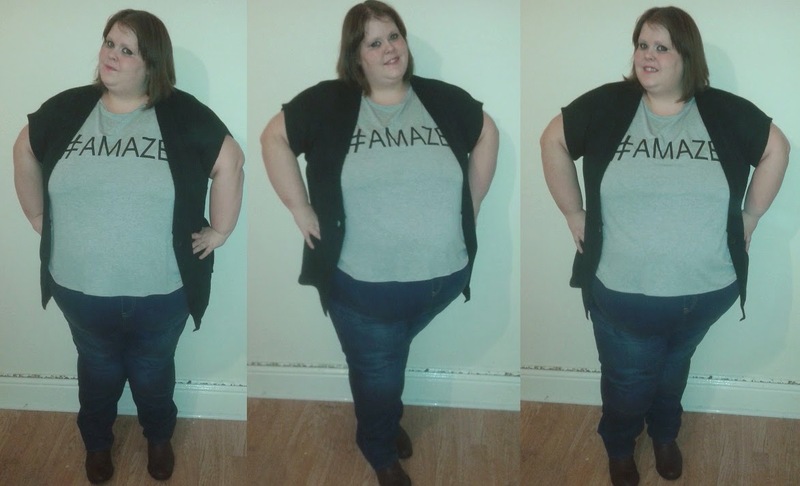 Jean & T Shirt is Evans - Cardigan is Aldi! The range goes up to a size 24 and features a number of items including tops, jeans and this lovely cardigan. Read about them here. They were kind enough to send me this cardigan to try and I am pleasantly surprised. Despite being a size 24 and therefore a few sizes too small for me it fits fine and I think it looks great! I have teamed it up with these amazing items from Evans, which are coming to the blog soon! Let me know if you snap up anything from Aldi!